To Catch a Mermaid: Life is tough, kid. Get used to it. I don't usually read children's novels and I probably will demur in the future, except for young adult. 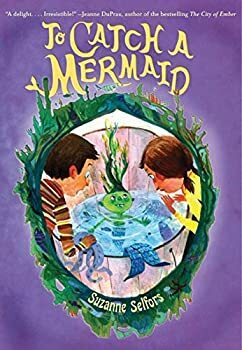 I did my homework on To Catch a Mermaid and read a bunch of other reviews out there, and none of them are in the least bit negative. The writing itself is great. It's about a boy named Boom Broom who brings home a wild baby mermaid (actually more like a toddler) from a reject seafood bucket. The merbaby brings a curse that Boom must break in order to save his sister. The merbaby can also grant wishes. His sister promptly falls in love with the cranky merbaby, and refuses to be parted from it. Adding angst to the story is that before the start of the novel, Boom's mother was carried away by a twister. Boom is an appealing character, despite his struggles with greed. There is almost no violence in the book. Saving Juliet — (2008) Young adult. Publisher: Mimi Wallingford, Great Granddaughter of Adelaide Wallingford, has the life that most girls dream about, playing Juliet opposite teen heartthrob Troy Summer on Broadway in Shakespeare’s famous play. Unfortunately, she has no desire to be an actress, a fact her mother can’t seem to grasp. But when she and Troy are magically thrust into Shakespeare’s Verona, they experience the feud between the Capulets and Montagues first hand. Mimi realizes that she and Juliet have more in common than Shakespeare’s script — they are both fighting for futures of their own choosing. Mimi feels compelled to help her and with Troy’s unexpected help, hopes to give Shakespeare’s most famous tragedy a happily-ever-after-ending. Fortune’s Magic Farm — (2009) Ages 9-12. Publisher: Suzanne Selfors is back with another a humorous light-fantasy adventure that is sure to appeal to anyone who has ever dared to dream. This story takes place in the dark, dank village of Runny Cove. There, orphan Isabelle works her fingers to the bone at the Magnificently Supreme Umbrella Factory, struggling to support herself and her Grandma Maxine. That is, until Isabelle discovers that she has inherited Fortune’s Farm, the last place on earth where magic grows. Now Isabelle must use the magic to save the people of Runny Cove without spilling the secret of Fortune’s Farm to the world-or worse, to the greedy factory owner, Mr. Supreme, who wants to exploit the magical fruit for his own selfish purposes. The Sweetest Spell — (2012) Publisher: Emmeline Thistle has always had a mysterious bond with cows, beginning on the night of her birth, when the local bovines saved the infant cast aside to die in the forest. But Emmeline was unaware that this bond has also given her a magical ability to transform milk into chocolate, a very valuable gift in a kingdom where chocolate is more rare and more precious than gold or jewels. Then one day Owen Oak, a dairyman’s son, teaches Emmeline to churn milk into butter — and instead she creates a delicious chocolate confection that immediately makes her a target for every greedy, power-hungry person in the kingdom of Anglund. Only Owen loves Emmeline for who she truly is, not her magical skill. But is his love enough to save her from the danger all around her? In a departure from her contemporary teen romances, Suzanne Selfors crafts an irresistible re-imagined fairy tale that will tempt readers with a delicious story of love that is sweeter than the richest chocolate. 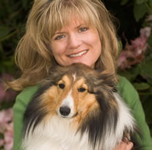 CLICK HERE FOR MORE BOOKS BY SUZANNE SELFORS.